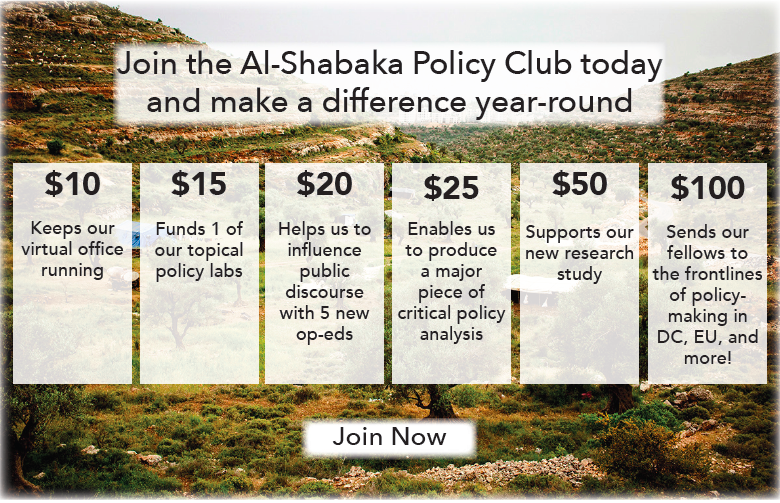 This new awareness is undercutting the long-dominant policies of the current right-wing leadership and the superficial "opposition" represented by what I call the Stalinist left – that is, both the Popular and Democratic Fronts for the Liberation of Palestine, the Palestinian People's Party, the Palestinian Democratic Union and, to some extent, the Palestinian National Initiative. These parties have so far failed to emerge from their intellectual subordination to the now defunct Soviet Union and continue to depend financially on the right-wing leadership of the Palestinian Liberation Organization (PLO). In other words, they rely on the Palestinian Authority for their existence and are unable to forge independent and effective strategies. Given the failure of the dominant political class after 70 years of displacement and dispossession since the Nakba, 11 years of blockade that international human rights organizations have described as a crime against humanity, and three Israeli wars that have killed more than 4,000 men, women, and children, the Palestinians of Gaza have decided to peacefully mobilize to enforce international resolutions, beginning with UN Resolution 194 regarding the return of Palestinian refugees to their homes and lands. 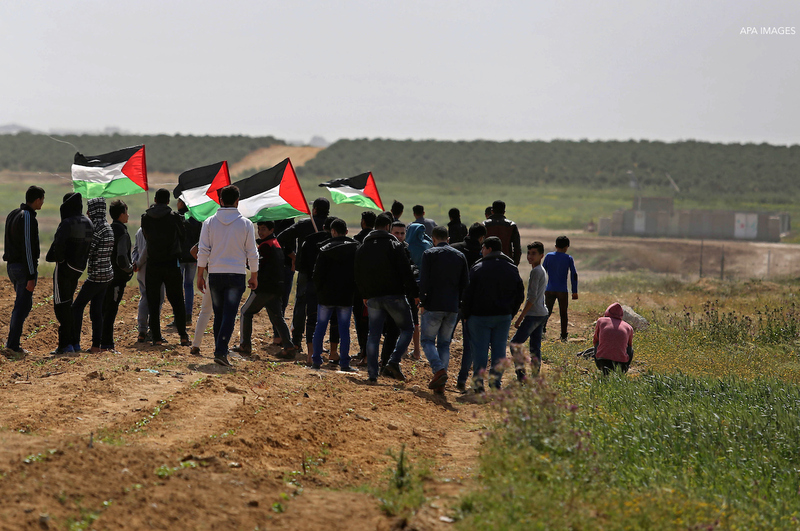 The new awareness emerging in and from Gaza connects all forms of popular resistance. In particular, it upholds the call to boycott, divest from, and impose sanctions on Israel (BDS), inspired by the South African liberation movement. Indeed, the March of Return has created an unprecedented Palestinian consensus and is in line with the goals of the BDS movement. BDS activists have participated in the march from the very beginning, holding awareness-raising events in partnership with organizers of the march, in which they have shown the direct relationship between the main forms of popular resistance and the role of civil society in taking the lead in these forms, given the lessons of past experience and approaches such as armed resistance. The Gaza March of Return campaign has the potential to promote true national unity after all the attempts to reconcile Fatah and Hamas since 2006 have failed. All the political parties are participating in the march and have representatives on the High National Committee alongside civil society representatives. The fact that both Hamas and Fatah have representatives on this committee demonstrates that only political activists that are directly connected to the people can achieve what party leaders have failed to accomplish. And party leaders have failed because the present Palestinian political system represents class and group interests that depend on internal divisions to survive, as well as on security coordination with Israel’s occupation. The march has proven that a wide gap separates the Palestinian leadership from the Palestinian people, especially those in Gaza. The new awareness created by the Great March of Return is also apparent in the complete break with the Oslo process and its vision of a mini-state alongside a Jewish state that practices racism against its own people. It has the potential to revive the concepts of national liberation and self-determination by addressing the new facts on the ground that Israel created. These realities have rendered it impossible to establish an independent, sovereign Palestinian state on 22% of the land of historic Palestine. Therefore, the time has come for a decisive struggle for freedom, equality, and justice. After all, two-thirds of Gaza residents are refugees whose rights to both return and reparations are guaranteed by international law. The BDS movement has not embraced a clear political stance on the question of statehood or whether there should be two states or a single democratic state. However, the March of Return’s goals fly in the face of the two-state solution since it is essentially in contradiction with the main demand of marchers, that is, the return and reparation of refugees. The holding of sister marches in Haifa, Ramallah, Bethlehem, and Umm Al-Fahm highlights the pan-Palestinian nature of the March of Return and its spread from the besieged Gaza Strip to the Occupied Palestinian Territory (OPT) and Israel. And this is exactly what worries Israel. This popular initiative is an attempt to redirect efforts toward achieving legitimate rights and to interconnect the three segments of the Palestinian people – the Palestinian citizens of Israel and Palestinians in the OPT and the diaspora. It also proves that Gaza constitutes an integral part of Palestinian national identity. Palestinians in Gaza have never been unpatriotic and cannot be held responsible for the deep national rift. They have played a vital role in shaping and vigorously defending modern Palestinian nationalism, which is precisely what the march has affirmed. The Palestinian leadership has now submitted a referral to the International Criminal Court (ICC) claiming that Israeli officials committed war crimes and crimes against humanity against the Palestinian people. Palestinian leaders must go further: They must renounce the constraints of Oslo, including security coordination and economic subordination, and unequivocally embrace the BDS movement’s call. They should not enter any "negotiations" unless the implementation of Resolution 194 tops the agenda. They must ensure that any negotiations tackle the demand to end the apartheid policies against Palestinian citizens of Israel. Finally, the struggle for freedom, return, and self-determination for all segments of the Palestinian people is the concrete embodiment of inclusive national unity on the ground. This unity is not defined by two political factions, or by the so-called "two parts of the homeland" (that is, the West Bank and Gaza), but rather by the new collective awareness to which the March of Return and the BDS movement have contributed.